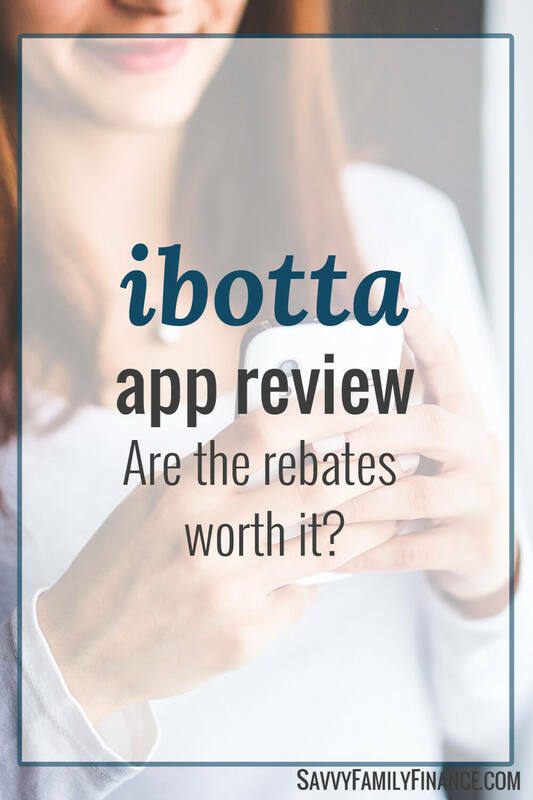 Home | Ibotta App Review: Are the Rebates Worth It? Inside: Is Ibotta the rebate app you will love to have on your phone? Do you like the idea of the savings couponing provides, but HATE dealing with coupons? Yeah, me too (mostly). I was more than a bit leery about trying a savings app like Ibotta, but figured there wasn’t much to lose, so I gave it a try and wrote up this Ibotta app review. Ibotta isn’t really a couponing app, but rather a rebate app. What that means is you won’t save money at the register, BUT you can get money credited to your account after you shop. The first step in using Ibotta is installing it on your smartphone (iPhone or Android) and setup your account. You can sign up here or download it to your phone and use code mqlgxsm to get the limited time $10.00 bonus. Ibotta suggests you check the app for rebates that are available before you go shopping, which is what I like to do. But if you forget to do this, for the majority of retailers they work with you can still check for rebates afterwards to see if anything you bought qualifies. For example, a couple weeks ago I was headed to Safeway for beer and Halo Top ice cream that was on sale (I’d been wanting to try it out after hearing good things about it). I checked Ibotta and score! there was a $1.50 rebate on Halo Top and there was also a long list of beers that qualified for rebates of between $2-$4. Awesome! Then I remembered the teen emptied our refrigerator of milk, so I grabbed another gallon and was able to get a 50 cent rebate on that as well. What is awesome is that normally milk , produce and egg rebates at stores are for any brand, so yay! Technically, you can unlock rebates before you go shopping and it will add the item to a shopping list. Ibotta may have you do a small task such answer a one question poll or watch a 10-30 second video before unlocking the rebate. After you have purchased your items, you then go back in and verify your purchases by scanning the product code and submit a photo of your receipt. Ibotta will then do things on their end and you get the rebate credited to your account within 48 hours (much sooner in my experience). Even easier, some stores have loyalty cards you can link up in Ibotta. Then, when you check out, any items you have unlocked and then purchase are automatically approved for the rebate. Related: Ebates Review: Is It a Good Way to Get Cash Back? Once you reach a minimum threshold of $20, you can have the money put into your PayPal or Venmo account, or choose a gift card. You can redeem multiple rebates on 1 receipt, just as I did with the Safeway trip. BUT, what you can’t do is redeem multiples of the same item on the same receipt. So, don’t expect to buy 6 bottles of the same wine on one receipt and expect to get rebates on all of them. Or stock up on that lovely Halo Top – you’ve gotta make separate trips. Every Wednesday, Ibotta posts new offers. This oh-so-conveniently lines up with grocery store sales cycles (at least in my area). You can stack the Ibotta rebates with store and manufacturer coupons for even more savings. Ibotta also works with some retail chains, restaurants, bars, movie theaters, and convenience stores. Using the app has been very easy and really not time consuming at all. For me, this first month, using the app has been most definitely worthwhile! I’ve earned over $21 in rebates and counting and this was while buying items I normally would. Will it continue to be worthwhile? The initial bonuses are definitely helpful and certainly makes me want to stick with the program. Honestly, it’s the first program I haven’t given up on or let languish after a couple weeks. The Ibotta app is available for both iPhone and Android users in the United States and Puerto Rico. For a limited time you can use the Ibotta referral code mqlgxsm for a $10.00 bonus when you sign up. That will get you halfway to your first redemption! You can also get the $10 sign up bonus by signing up for Ibotta through this link. In my limited experience, they tend to specify a size of the item which the store didn’t have. Most recently it was a specific size bag of Malt o Meal cereal. Very frustrating. And here in NJ grocery stores don’t sell alcohol, so that whole category is out. I can relate on the alcohol. Other than beer and wine, liquor is sold in state controlled stores here as well. Ibotta is no longer reliable. Too much time to chase after 50 cent rebates by emailing support. Used to be good, now they don’t pay and you wouldn’t even know it unless you CAREFULLY were tracking each every single rebate. Who had that kind of time while raising a family and holding a job down? Oh no! That’s unfortunate. I haven’t run into that, but will keep an eye out.